So I used to own one of the original Tangle Teezers and it completely changed brushing my hair. No longer was I nearly in tears trying to brush out knots and tangles, instead the Tangle Teezer just glided through my hair like a breeze. Fast forward about a year or so and after a lot of use, it was time to buy a new one. I was just going to order another original but pick a different colour, my first one was hot pink, but after looking on ASOS the Aqua Splash version caught my eye. The only times I brush my hair, excluding if I'm using heat, is just before washing and then while conditioner is on my hair so I use it in the shower and it gets wet. Although the original works fine if it gets wet, it just took a while to dry especially if water got inside the brush. The overall design of the Aqua Splash is so much better and I can actually hold this one and brush my hair easily. I don't know if it's just because I have small hands, but I found the original quite hard to hold and use. The middle of the brush is hollow so there's no chance of water getting inside and it dries incredibly quickly. It can also stand up on it's own, the other can't, so it doesn't end up sitting in a puddle of water in the shower. I don't know if it's the change in shape to the original, but the Aqua Splash has longer bristles so I find it a lot easier and takes less time to de-tangle my hair which I didn't think was possible. I couldn't be happier with my choice! 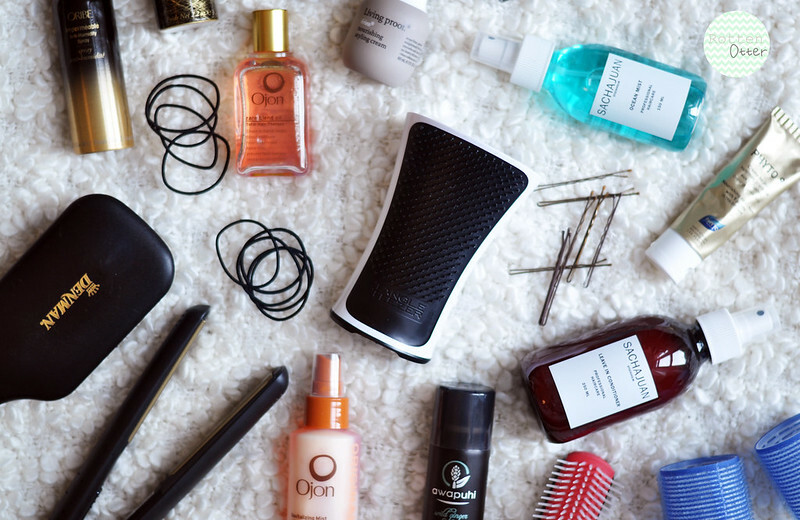 Do you use a Tangle Teezer? Tried the Aqua version?